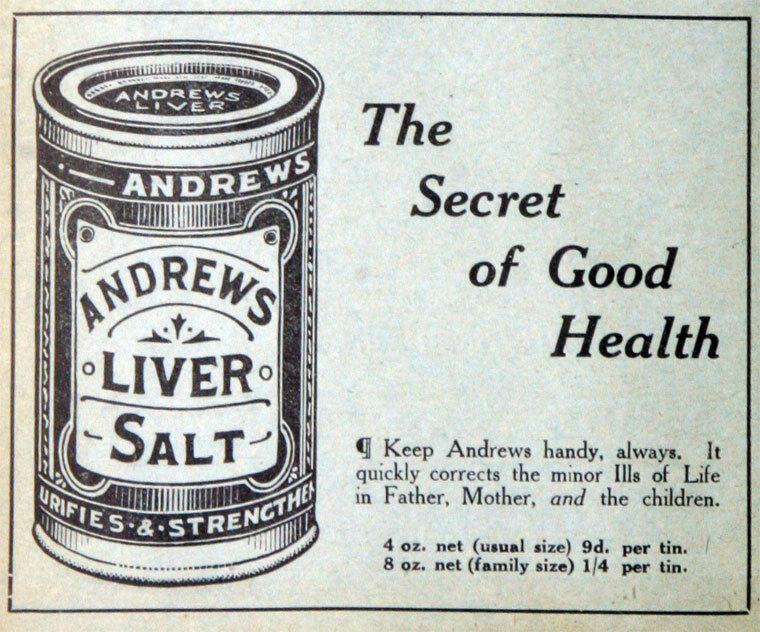 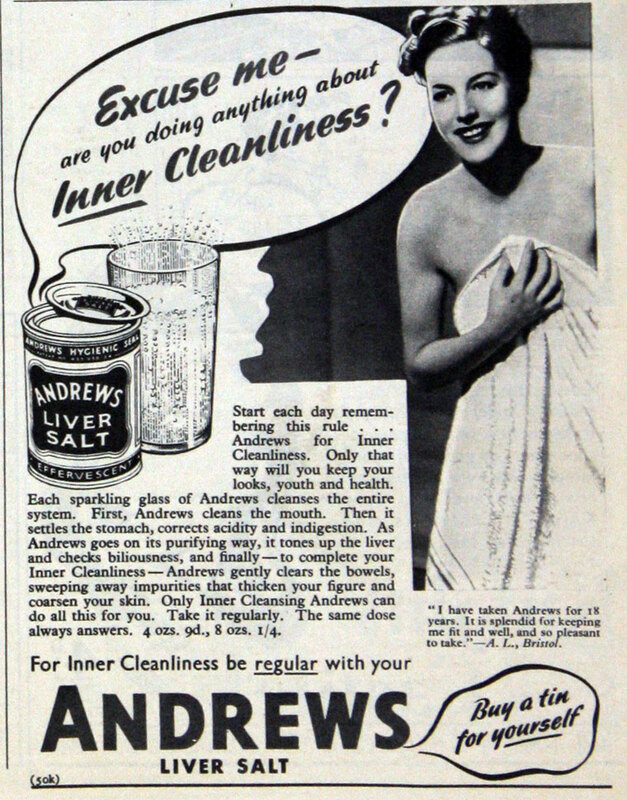 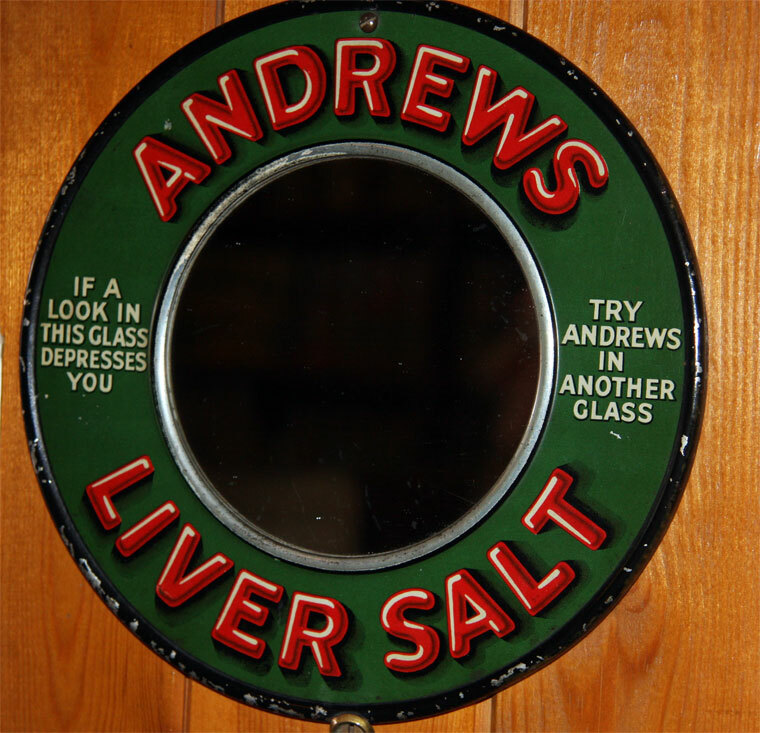 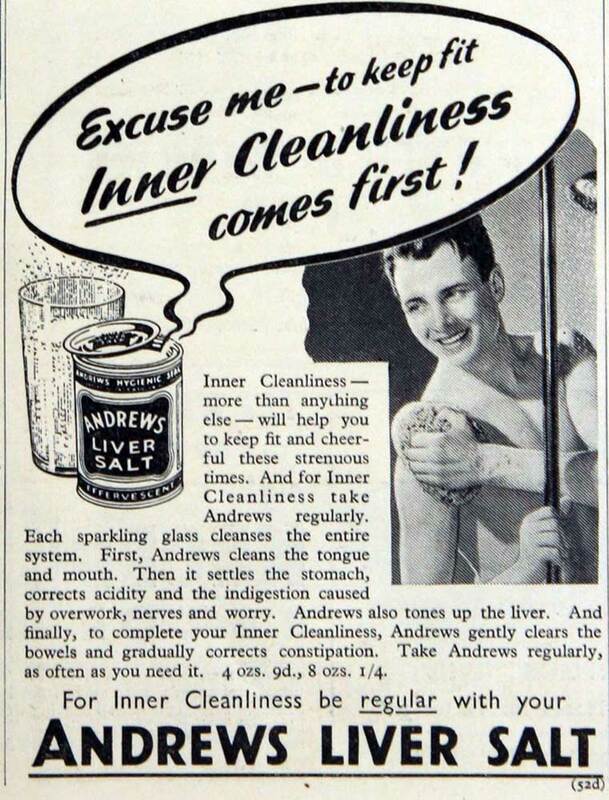 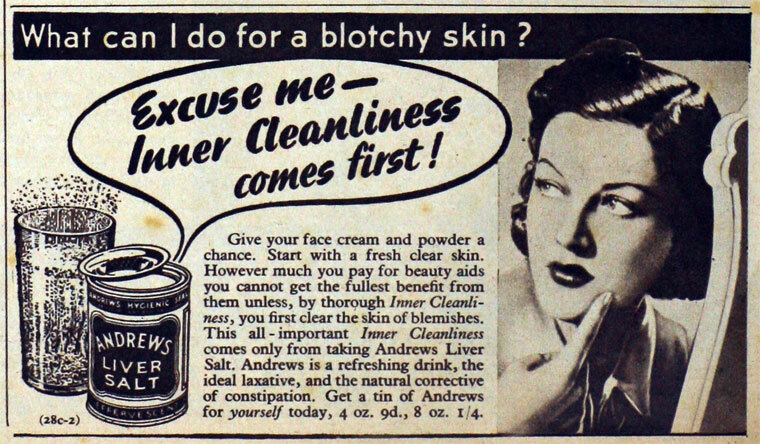 Andrews Liver Salt dates back to 1894, when provision importer Mr Scott and Mr Turner decided there was a future for the health-giving properties of their tonic. 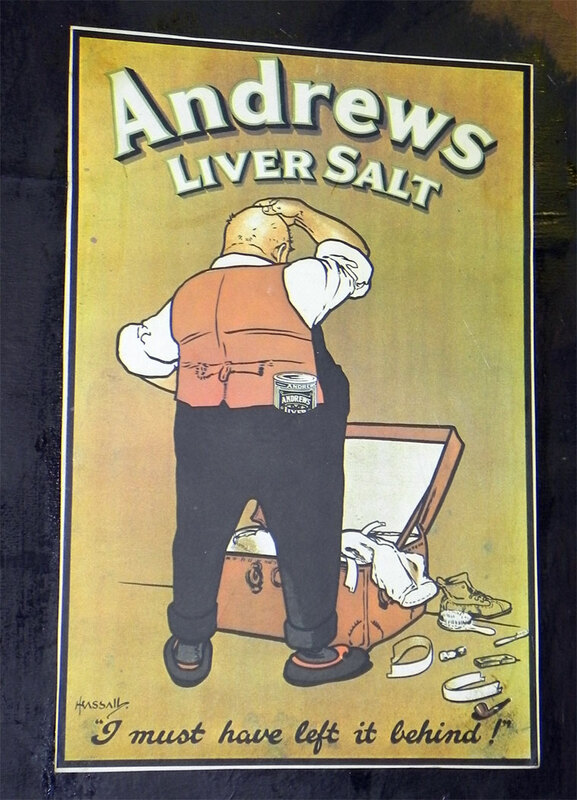 The name Andrews was adopted for the product as the Scott and Turner offices was close to St Andrew’s Church, in Newgate Street, Newcastle-upon-Tyne. 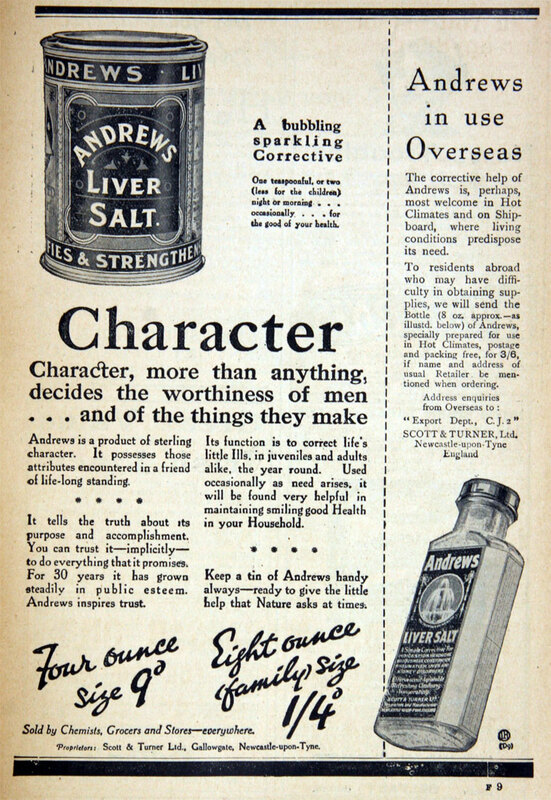 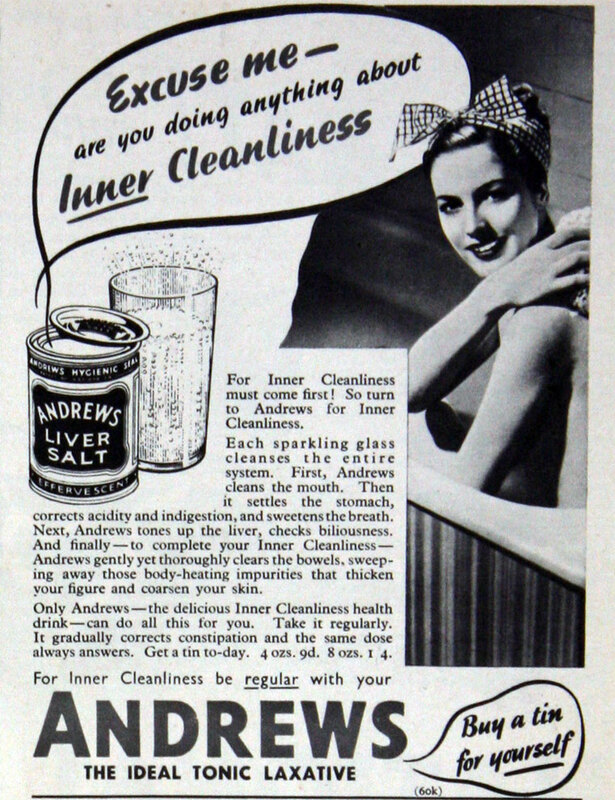 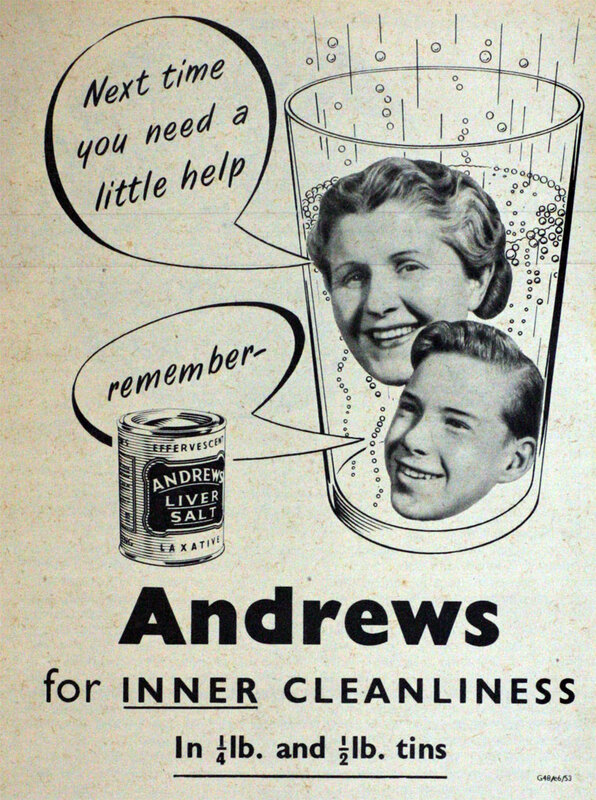 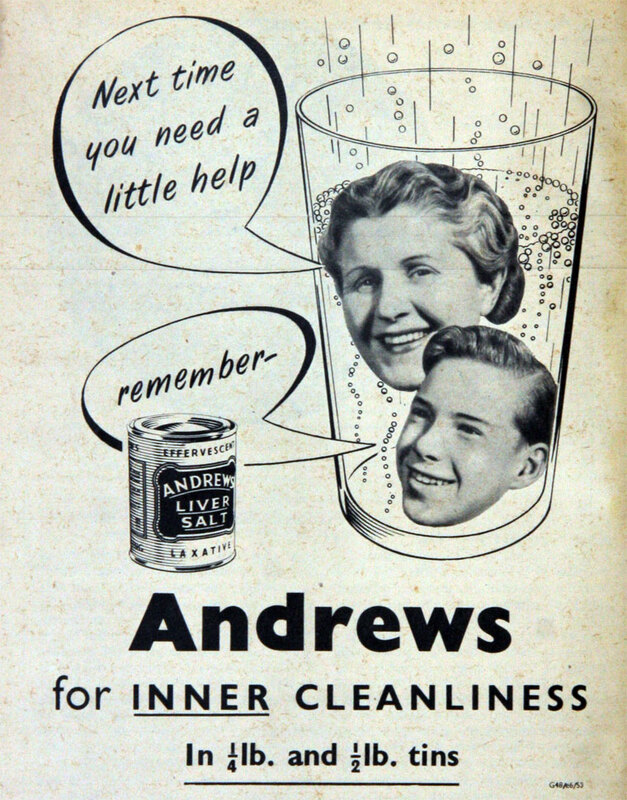 The trademark Andrews Liver Salt was registered in 1909 and the product was soon exported all over the world. 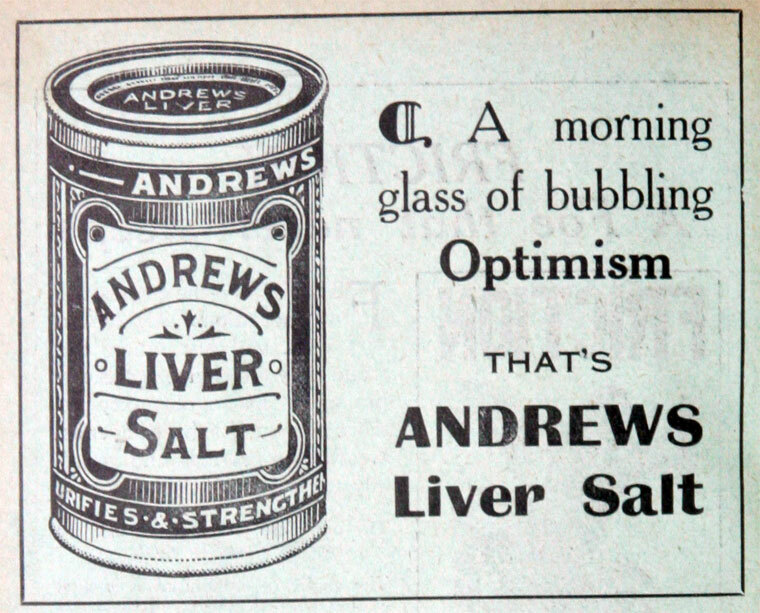 This page was last edited on 10 June 2015, at 21:03.